What was the Indus administrative machinery like? 33. What was the Indus administrative machinery like? 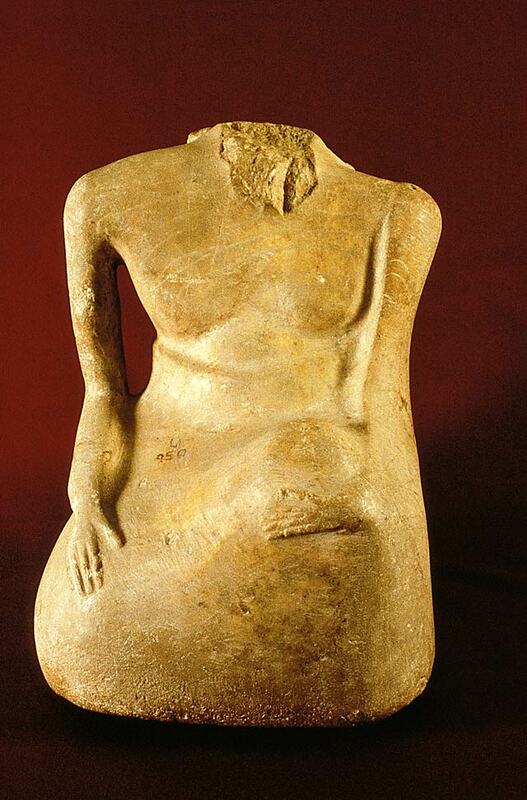 Seated male figure with head missing. The hair style can be partially reconstructed by a wide swath of hair and a braided lock of hair or ribbon hanging along the right side of the back. Discovered in Mohenjo-daro in the 1920s. I would like to know something about the nature of the administrative machinery, their irrigation patterns and nature of society...though i am fully aware that the type of sources we have to analyse these things are minimal. You ask a difficult question to answer without texts, though they often don’t tell the true story. When I think of living in an Indus city, using the available data, some ethnographic analogy and a bit of imagination, I think of people living in neighborhoods (we have that evidence at Harappa, and see my book on this, chapter 5) and a kind of self-organizing group of people maintaining some aspects of their streets, etc. I can think of other group enterprises too (again take a look at my book or I can answer more questions if you like). But then when I look at trade, it does seem that an organizing body of some sort went beyond the neighbourhood organization. Unlike our early thoughts about places like Mesopotamia, where the texts had led us to believe that the State did EVERYTHING, we know now that was not the case. There were independent craftsmen, for example, and even traders. So when I think of the Indus, now, I regard that as a distinct possibility. Well, then who was responsible for these coordinated city plans. There, I think we have to concede that a strong leadership (single person, body of people, strong kinship groups, ?) shared concepts about how cities should be built across a wide region, and then built there cities according to a local plan.